This is an excellent class for the person who wants to learn to quilt. In this class, we will show you how to properly cut your fabric, piece and measure your blocks, and get you on your way to a completed quilt top. 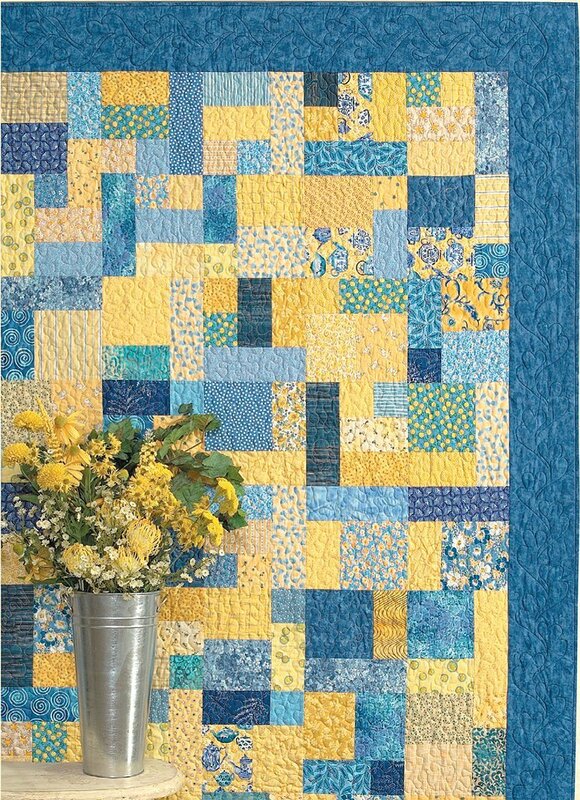 This project is made using the Yellow Brick Road pattern. The pattern has directions for multiple sizes, but in this class we will focus on the lap quilt size, which is 57" x 75". Please press your 6 or 12 fat quarters with BEST PRESS before class. However, this is not mandatory. ruler (we HIGHLY recommend the Creative Grids 6"x12" (really 6 1/2" x 12 1/2") ruler. please be sure you have a 1/4" presser foot with guide. THEY ARE MACHINE SPECIFIC AND WE DO NOT SELL THEM, SO PLEASE PREPARE AHEAD! Bring a lunch, or we can order in. This is a 2 day sewing class. If you have already taken this class, but want to finish or start another with a group of people, call the shop for a discounted rate of $15.